I'd rather it be plot by Kana to infiltrate STARDOM to be honest. It would be a nice feud and story to start something interesting up for the promotion. So when did this whole Io leaving Triple Tails story start? Did Io join STARDOM or is she still a freelancer? She didn't officially join STARDOM, only appeared and asked to team with Nanae. Nanae was suspicious but Io talked her way into it. At the end of the show, Io posed with the STARDOM roster for their commemorative photo. Mio mentioned it on twitter also as their first meeting in a long time. 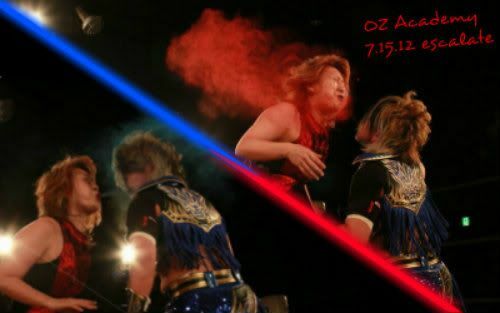 I read that it might have been Io dating NOSAWA in the first place, prior to the arrest which was just icing on the cake. Yeah, Mio blogged that Io and her family hadn't spoken in over a year. There was actually a match that happened between them during that period and you can see some awkwardness and some really uncomfortable stiffness levels. Apparently the Shirai mother was a wreck watching it. Pics from Mio's DVD, which is apparently selling very well. 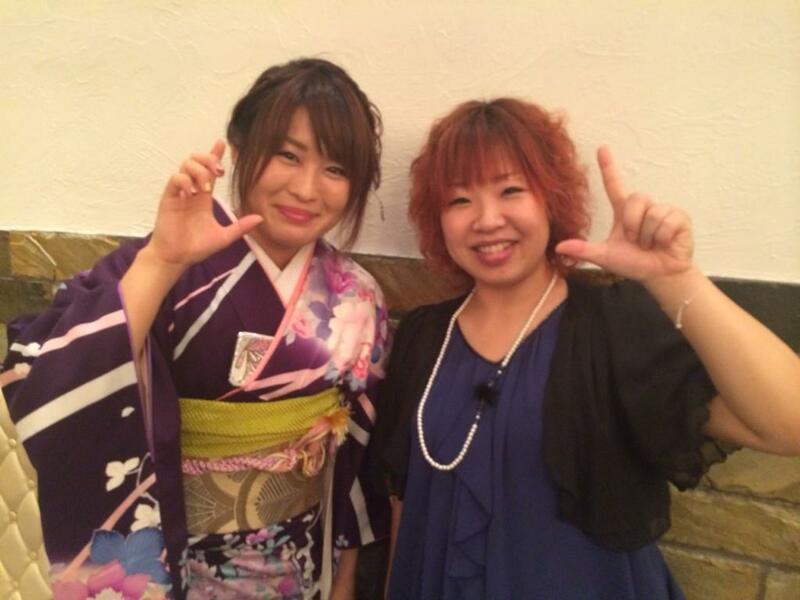 Picture of Io with Kaori Yoneyama at Mio's wedding. I believe Io's heading over to L.A. now to meet up with the other STARDOM girls (Kairi, Mayu, Act, Chris Wolf) who are already there for STARDOM's US shows. , . , - , «». 1 , - - , , . , , , , - , , , , .